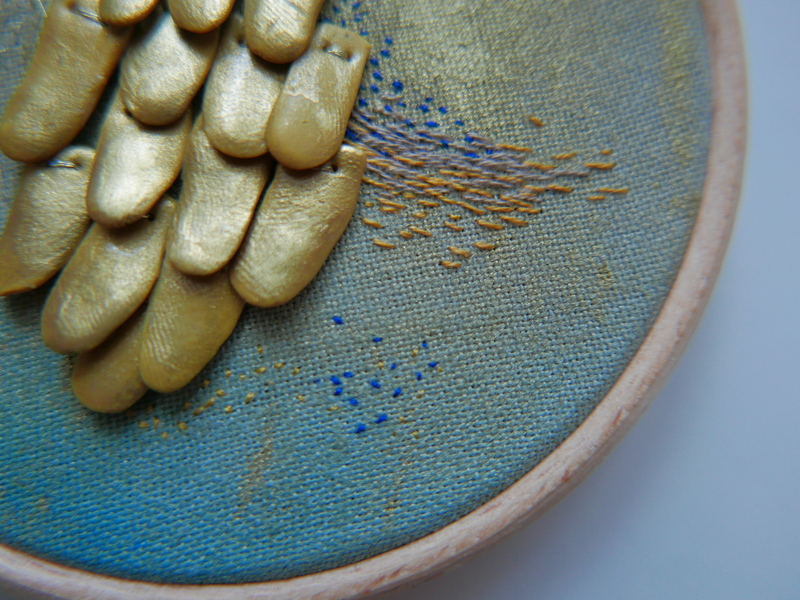 Home / Poems Collection / ‘Golden Wing’ – hand embroidery on 4 inch hoop (mixed media art). 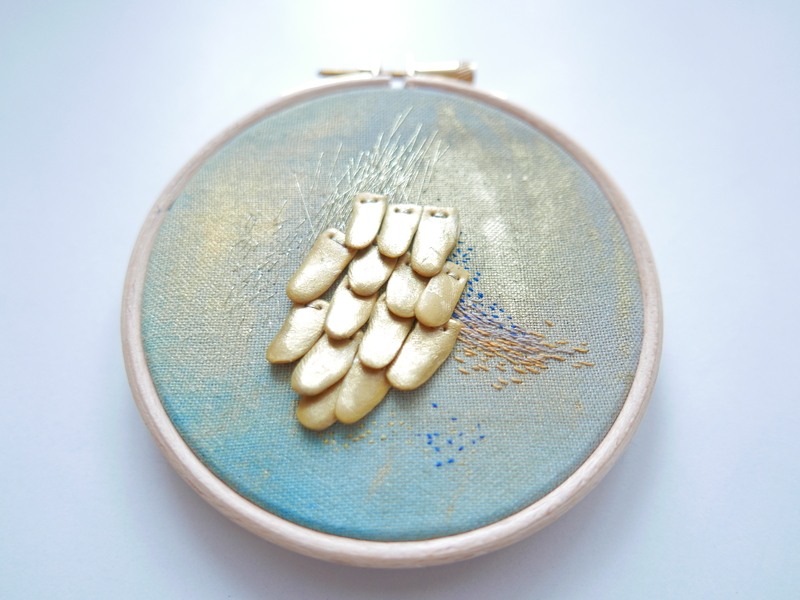 ‘Golden Wing’ is a very delicate, one of a kind hand embroidered piece. 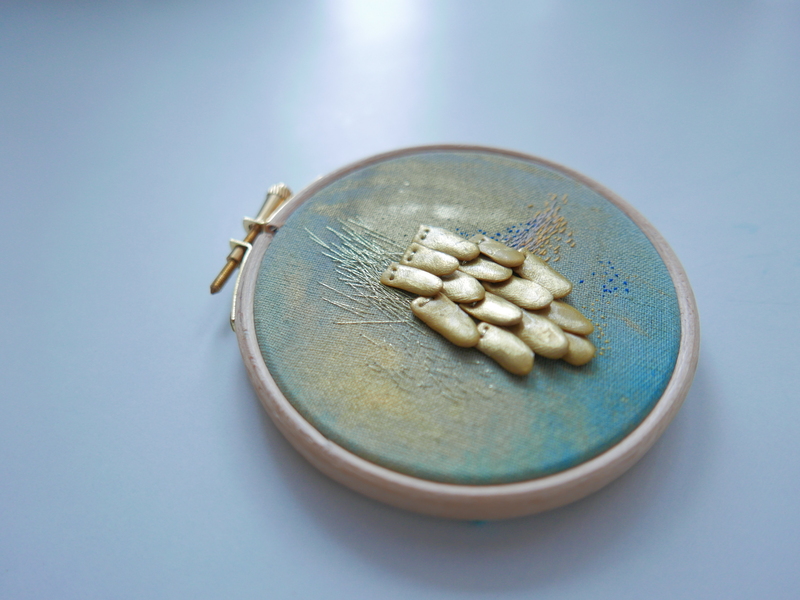 It has been hand stitched with polymer clay scales painted in gold powder. The wing is a metaphor of human ability to fly. It is also a reflection on traveling in spiritual sense as well as phisical. 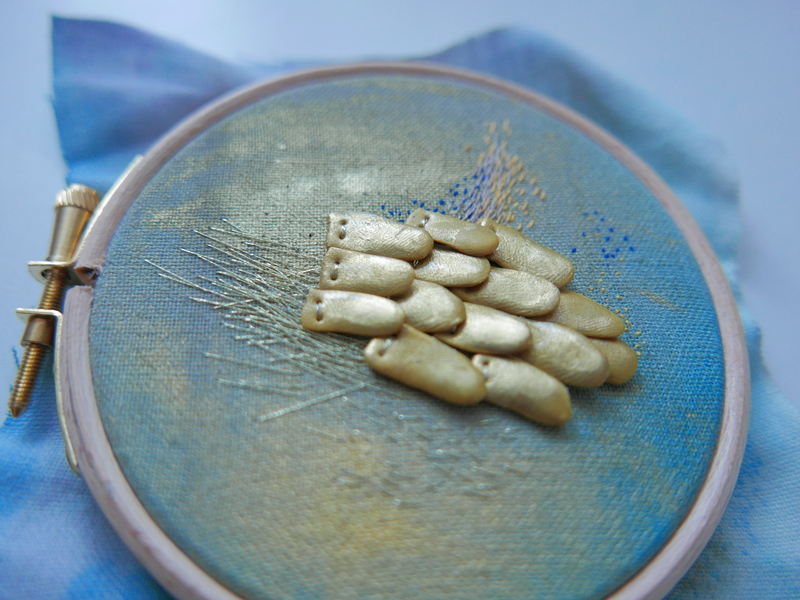 It is the symbol of dreams coming true and the magical processes behind it. 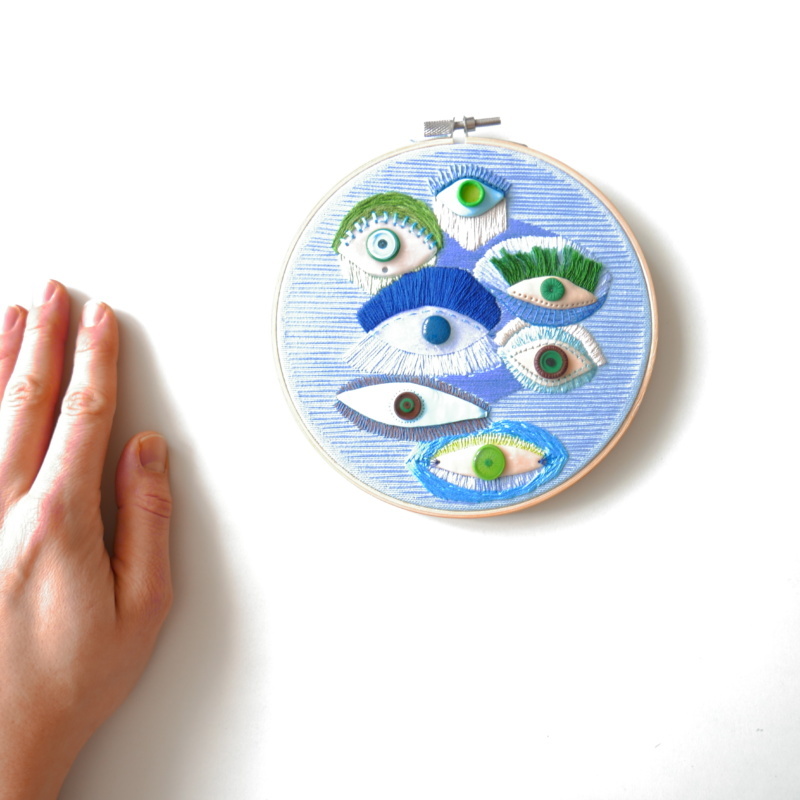 All in one tiny hoop (4 inches in diameter). 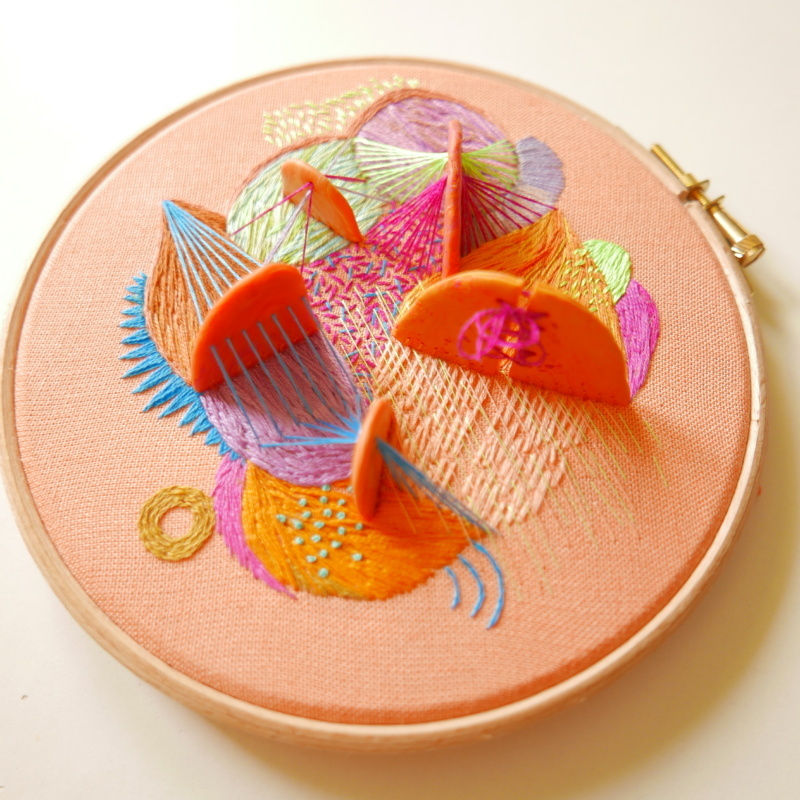 The hoops serves as a frame and it must not be removed. 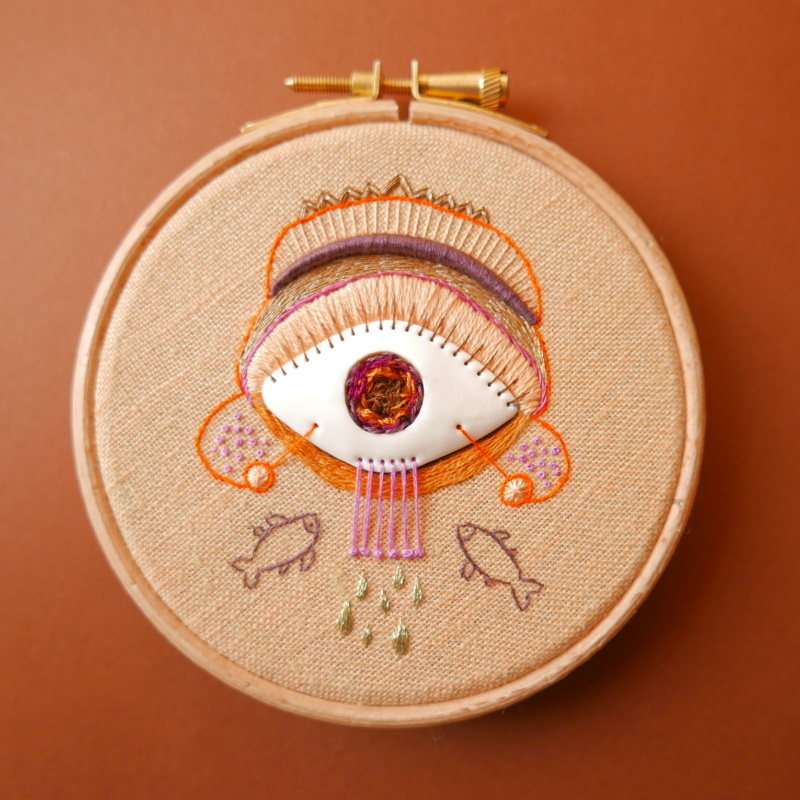 In addition to that you may frame the piece. The shipping is global express. It has a tracking numer and comes within 2 weeks. 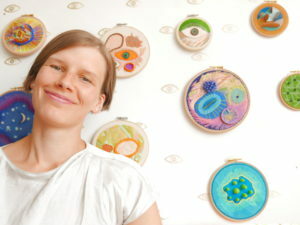 To learn about my creative process read ABOUT page.